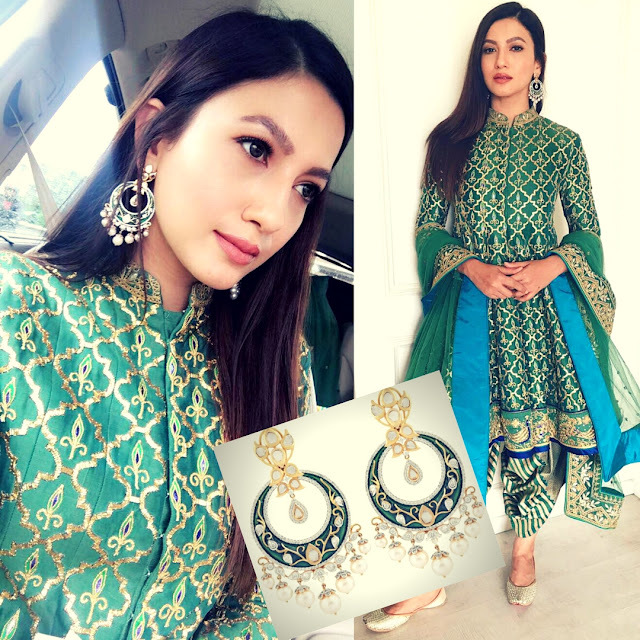 Gorgeous Actress Gauhar Khan was seen flaunting the Chandbalis from Yoube Jewellery. Yoube Jewellery is a Mumbai based fine diamond jewellery brand. Those green chandbalis with pearls and diamond rounded up her complete ethnic look for the day. This festive season adorn these green alluring chaandbalis for an outstanding look By Yoube Jewellery .